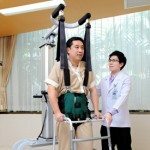 Internationally recognized for its high-quality rehabilitation center, Bangkok’s Samitivej Hospital treats patients suffering from a wide range of afflictions. From administering physical therapy for athletic injuries to aiding in recovery from difficult surgeries to drug rehabilitation programs, we help our patients literally and figuratively get back on their feet. 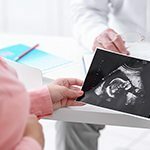 The Samitivej Sukhumvit Hospital has an extensive team of Maternal Fetal Medicine specialists with expertise and experience in caring for pregnant women with a high risk of complications. At the Psychiatry Clinic at both Samitivej Sukhumvit Bangkok and Samitivej Sriracha Bangkok, our certified team of psychiatrists and mental health professionals brings the same level of attention to the mind as other areas in our JCI-accredited hospital bring to the body. Our exceptional staff have all undergone rigorous training and have been offering comprehensive psychiatric care for years. The Pulmonary Center at Samitivej Hospital provides comprehensive diagnosis and treatment for all disorders of the respiratory system using the latest state-of-the-art medical technology. Our arsenal of advanced medical equipment includes an Endobronchial Ultrasound (E-BUS), capable of detecting various forms of lung cancer and lung infections, as well as instruments for conducting biopsies.